I thought it was a fairly difficult trading week compared to most recently. We finally saw some back and forth action and if you stuck around too long in one direction you quickly found yourself giving all of your profits back. Some decent long trades in AMZN and NFLX offset my net losing apple trades this week to finish out with a small gain for the week. Now onto some charts! the usual suspects. short term ideas. NOTE: The charts below are all 30-min candles. $SPY great squeeze higher on friday off the NFP number. I do think its overall bullish however in the short term I do not thing its sustainable. Any moderate to large gap ups on Monday I will be aggressively searching for short setups for a trade. I do not believe this is a breakaway gap. NOTE: The charts below are all 15-min candles. $SPY pulling back off it’s highs after double topping around the 159.7 level. Next level of support comes in about 157.75 and I wouldn’t be surprised to see us test that tomorrow. ECB news tomorrow AM and then jobs numbers on Friday should give the algos a reason to whip price around. So far we have a successful price reversal at our anticipated inflection point and things are looking good (knock on wood). As I mentioned in the previous post I bought 1/3ish size on friday aftermarket at 525.24 and I added up to a full position this morning picking up more in the 517s. My average cost now comes in about 520.50. 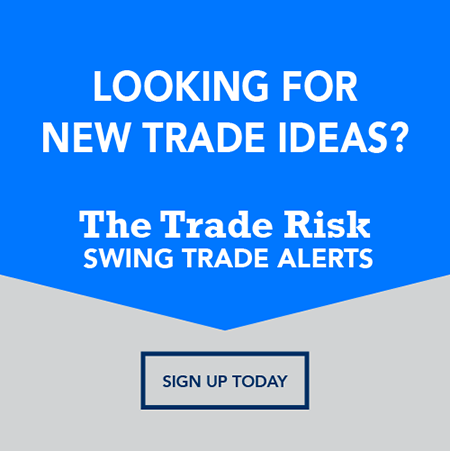 Because I am a daytrader at heart I do have a full ‘intraday’ size and I am looking to trade around a core swing position. For those who are simply looking to swing you can use todays low as your stop and continue to trail your stop if price continues higher. For those interested in my intraday targets I am currently looking to peel this extra size off at about the 526.5 level and continue to trade around position and below 520 I would take off half my position. Note this is a bit more difficult when I do believe the market will continue to work against us for the next few days. All the while I do have a small SPXU position I picked up late on Friday. 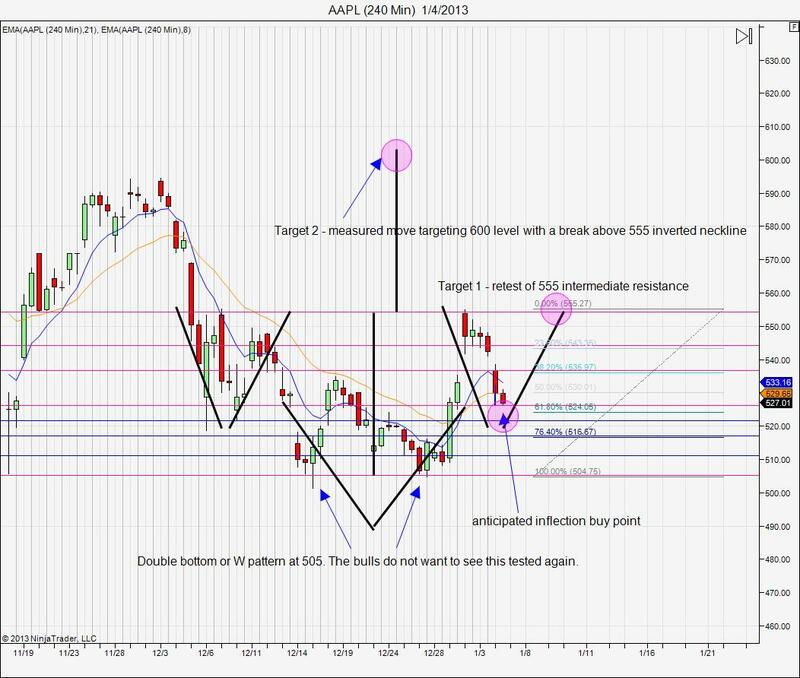 Here’s why I am looking to buy AAPL on Monday. Inverted head and shoulders setup seen above on a 240 minute chart. 518 – 525 is the buy zone I am anticipating a long entry. 61.8% retracement from the 504.75 low to 555 ripper we saw this week comes in about 524. Previous swing point from early December (created left shoulder) about 518. I actually purchased 1/3 position Friday after hours as apple continued to slide down at 525.21. I will look to make that a full position on Monday and I will be using roughly 515 as a stop. Trading below 515 would indicate to me the lows want to get tested again. Again this is just a trade, not a stance that I am married too, simply risk/reward and probabilities aligning here for my personal risk tolerance and trade style.